For all of you sitting on the edges of your seat waiting for the announcement of the 2009 Green Car of the Year awarded by Green Car Journal at the LA Auto Show, you'll be happy to know it went to the 2009 Volkswagen Jetta TDI. The Jetta TDI is a fuel economy monster registering 50 MPG returns while avoiding environmentally dubious battery packs and high gravity snobbishness. The other contestants (the 2010 Ford Fusion Hybrid, the BMW 335d, Saturn Vue 2-Mode Hybrid, and Smart Fortwo) will now have to hang their headlights in shame. Press release below the jump. VOLKSWAGEN’s JETTA TDI NAMED 2009 Green Car of the Year® LOS ANGELES - Nov. 20, 2008 - Volkswagen’s milestone 2009 Jetta TDI has been named Green Car Journal’s 2009 Green Car of the Year®, besting competitors that included a pair of advanced hybrids, a clean diesel sport sedan, and a trendy fuel-efficient microcar. This is the first time that a clean diesel model has been awarded the title Green Car of the Year®. Green Car Journal has been unveiling the Green Car of the Year® winner at the LA Auto Show every year since it initiated the annual award in 2005. “The 2009 Volkswagen Jetta TDI epitomizes what the Green Car of the Year® honor is all about,” said Ron Cogan, editor and publisher of Green Car Journal and editor of GreenCar.com. “It raises the bar significantly in environmental performance with its EPA estimated 41 mpg highway fuel economy, reduced greenhouse gas emissions, and extremely low tailpipe emissions. This is all the more impressive when you consider the Jetta TDI is a clean diesel, achieving the kind of fuel efficiency offered by gasoline-electric hybrids but in a more affordable way.” Volkswagen’s Jetta TDI features a 2.0-liter, turbocharged direct injection engine featuring the latest in diesel injection and emissions technology that allows it to meet strict emissions standards in all 50 states. Although its mission is to provide buyers a comfortable and fuel efficient five-passenger family sedan at an affordable $21,990, there’s a bit of performance in the bargain because of this clean diesel engine’s abundant low-end torque and the Jetta’s well-tuned suspension. This Volkswagen’s new-generation diesel powerplant is also exceptionally quiet for a diesel, reflecting just how far advanced diesel technology has come in recent years. 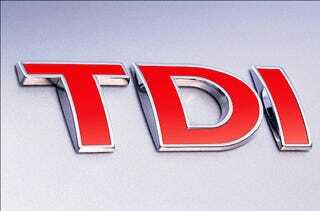 A jury of environmental and automotive experts selected the 2009 Jetta TDI from the field of five finalists that also included the BMW 335d, Ford Fusion Hybrid, Saturn Vue 2 Mode Hybrid, and smart fortwo. This jury is comprised of nine jurors including Carl Pope, executive director of the Sierra Club; Frances Beinecke, president of the Natural Resources Defense Council; Jean-Michel Cousteau, president of Ocean Futures Society; automotive expert and Tonight Show host Jay Leno; automotive icon Carroll Shelby; and four Green Car Journal editors.